INK 180 transforms the painful reminders of the destructive situations into beautiful art by covering the tattoos left from a former life in a gang or enslaved by human trafficking. Call us today at (630)554-1404 to schedule an appointment for you or your group. We do in shop, private tattoo parties at our state of the art, clean and comfortable facility in Oswego, IL. 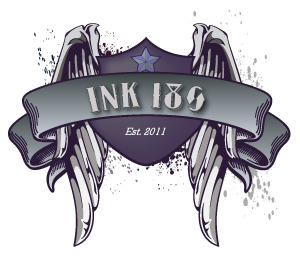 INK 180 is a full service facility that places strong emphasis on the customer experience. We realize that going in for your first tattoo can be intimidating. We are focused on providing a clean, comfortable environment for people to get world class tattoo work done here in the Chicago area. We are happy to use your designs or create a custom design for you and turn your dreams into reality. We only use the best tattoo pigments in the industry from Eternal Ink and will walk you through the aftercare process to ensure great results. We have 2 private tattoo rooms to allow for complete privacy. We stand behind our work and want to provide you with work you’ll be proud of for the rest of your life. Chris founded the non-profit arm of INK 180 in October of 2011 to offer the opportunity for a real second chance to the least of these, the invisible, the forgotten, the discarded. 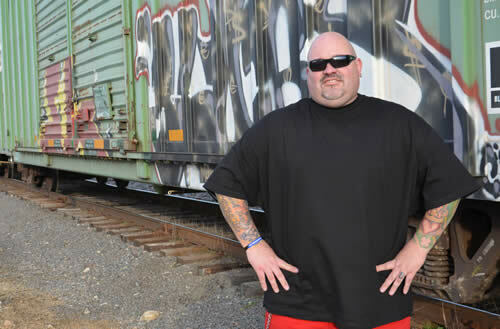 Chris provides his time, supplies and artwork, entirely free of charge to former gang members trying to get their lives back on track as well as the victims of Human Trafficking. INK 180 is entirely funded by donations, no charge is ever asked of the people receiving Chris’ ministry.